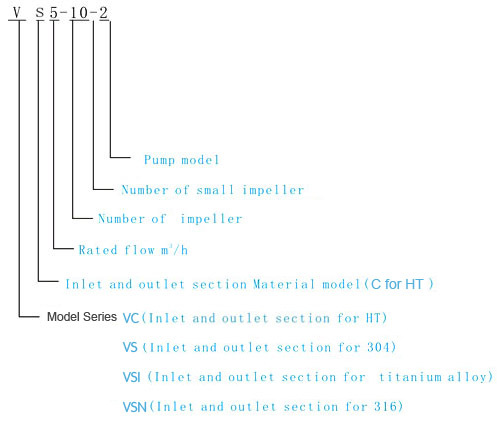 VC/VS is a kind of multifunctional products.It can be used to convey various medium from tap water to industrial liquid at different temperature and with different flow rate and pressure . VC type is applicable to conveying non-corrosive liquid, while VS is suitable for slightly corrosive liquid. ・Water supply: Water filter and transport in Waterworks, boosting of main pipeline, boosting in high-rise buildings. ・Thin, clean, non-flammable and non-explosive liquid containing no solid granules and fibers. 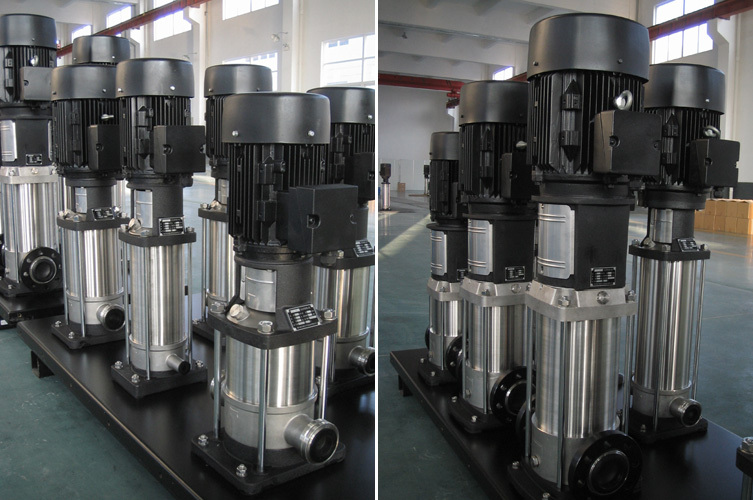 ・VC/VS is a kind of vertical non - self priming multistage centrifugal pump, pump consist of a base and a pump head, the pressure - resistant cylinder and flow passage components are fixed between pump head and in-and-outlet section with tie-bar bolts, the inlet and outlet are located at the pump bottom at the same plane (Inline type). ・Capacity scope: 0.5~90 m3/h, Max. Head: 330m.